SanDisk Corporation (NASDAQ: SNDK), a global leader in flash memory storage solutions, today announced that the iNAND Extreme™ Embedded Flash Drive (EFD) supports tablet reference designs based on the NVIDIA® Tegra® 4 – the world’s fastest mobile processor. Optimized for use in the tablets powered by Tegra 4, iNAND Extreme delivers an outstanding user experience by enhancing processing performance and providing reliable, high-quality digital storage. 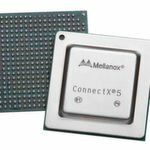 Tegra 4-based tablet reference designs offer a technical “recipe” for mobile device developers using the new mobile processor from NVIDIA, significantly accelerating the process of developing powerful new tablets. With tens of millions of mobile applications downloaded every day worldwide, smartphones and tablets are increasingly an essential part of today’s smart digital lifestyle. The demand for mobile platforms with more computing capability, responsiveness and reliability continues to skyrocket. Incorporating 72 custom NVIDIA GeForce GPU cores and the first quad-core ARM Cortex-A15 CPU, Tegra 4 delivers record-level performance, outstanding graphics, and great battery life to mobile devices. Featuring an advanced controller, the iNAND Extreme EFD dramatically enhances the sequential and random performance for applications running on Tegra 4, enabling users to load web pages faster, launch and enjoy applications at blazing fast speeds, and store more digital content. For shutterbugs, iNAND Extreme improves photography application performance on mobile devices with Tegra 4, allowing even quicker multi-shot and faster image capture and store. The innovative iNAND Extreme EFD is included in Tegra 4 tablet reference designs in capacities ranging from 16GB to 32GB. “By pairing Tegra 4 with the iNAND Extreme, smartphone and tablet makers can create faster, quicker mobile devices with an even better consumer experience,” said Phil Carmack, senior vice president, mobile business unit, NVIDIA. 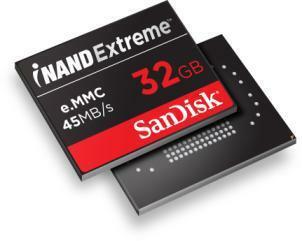 iNAND Extreme is built on SanDisk's 19 nanometer (nm) process technology, the world's most advanced semiconductor manufacturing process, and is designed for use in next-generation tablets, smartphones and other mobile devices. iNAND Extreme significantly improves multimedia synchronization speeds, file-transfer rates, and operating-system responsiveness. The SanDisk iNAND™ product family offers an embedded storage solution for every performance segment and capacity point in the mobile market, and includes iNAND, iNAND Ultra™ and iNAND Extreme™ products. SanDisk's iNAND solutions, available in EFDs and MCP forms, provide tablets, smartphones, e-Book readers, personal media players and personal navigation devices with faster system responsiveness, improved multitasking and browsing performance, longer battery life and an enhanced user experience. SanDisk's iNAND products come in a variety of storage capacities, ranging from 4GB to 128GB. Based on the NVIDIA news release, “NVIDIA Introduces World's Fastest Mobile Processor,” January 6, 2013. 1 gigabyte (GB) = 1 billion bytes. Some capacity not available for user storage. 1 nanometer (nm) = 1 billionth of a meter. 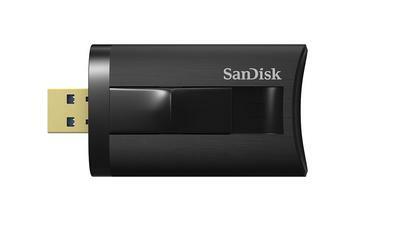 © 2013 SanDisk Corporation. All rights reserved. SanDisk is a trademark of SanDisk Corporation, registered in the United States and other countries. iNAND, iNAND Ultra and iNAND Extreme are trademarks of SanDisk Corporation. Other brand names mentioned herein are for identification purposes only and may be the trademarks of their respective holder(s).